I’m constantly trying to find ways to go the extra mile without breaking the bank. 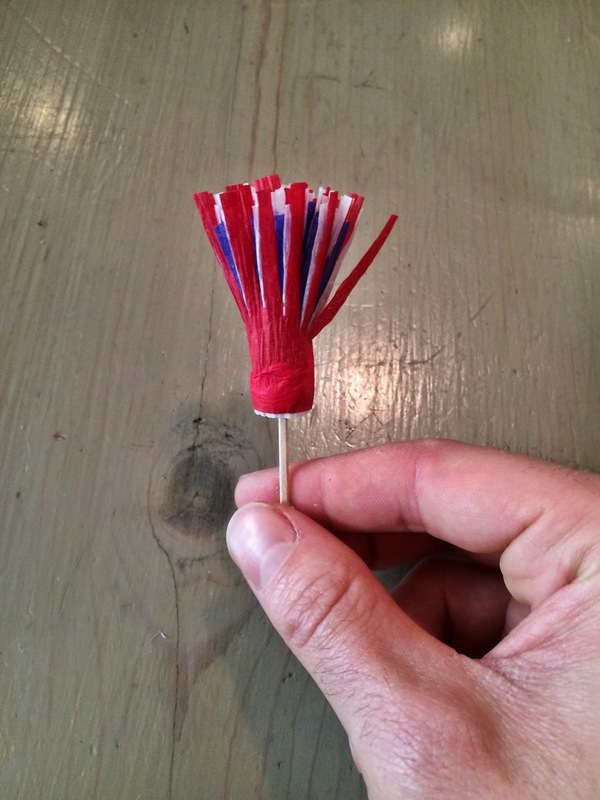 I think these Fourth of July firework picks do just that. 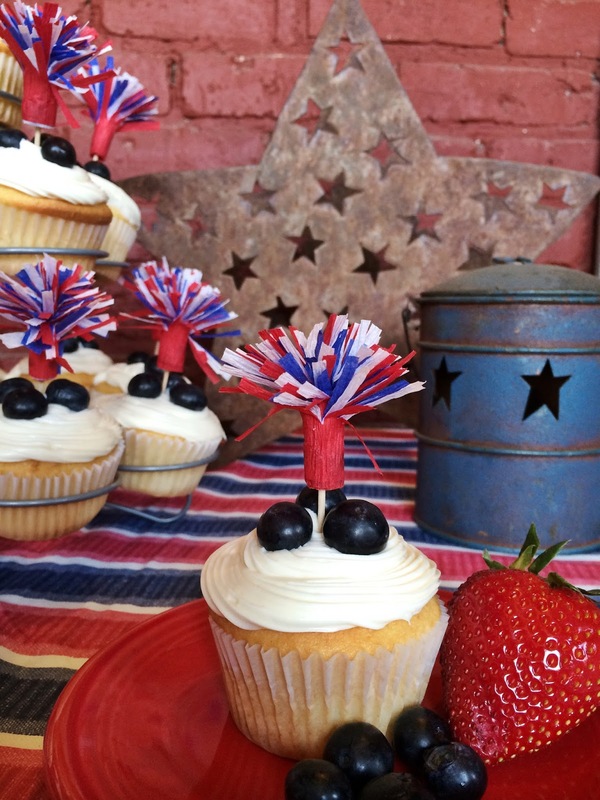 These will add a patriotic flair to any celebration. 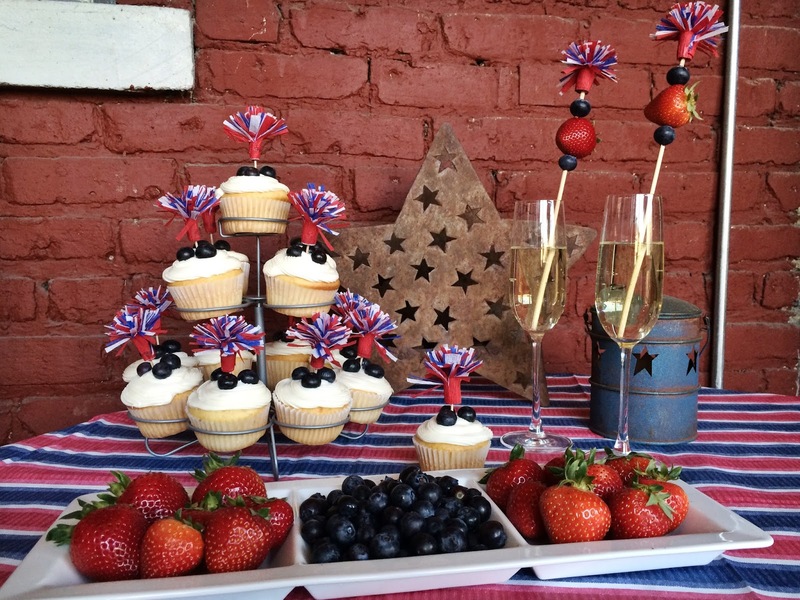 They look so festive adorning these cupcakes and cocktails! 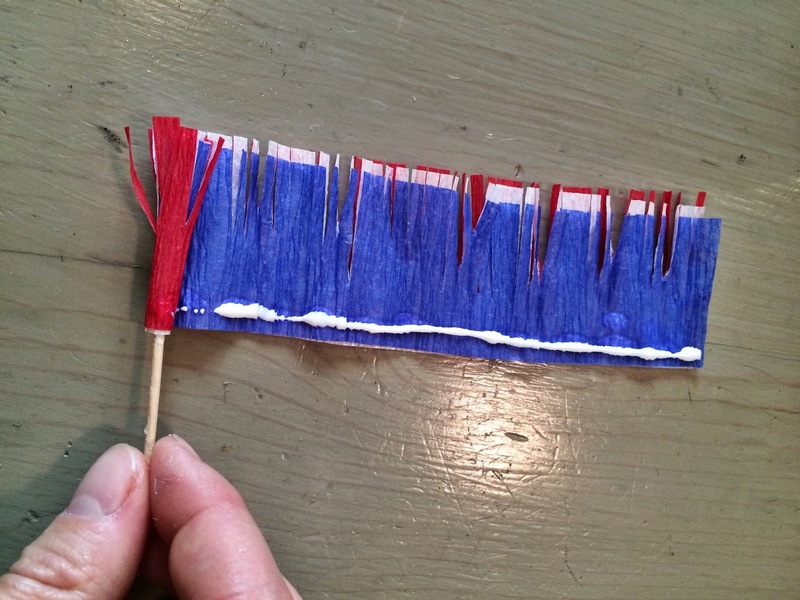 You can make them in just a few easy steps and all you need is red, white and blue crepe paper, Aleene’s tacky glue, toothpicks/skewers and scissors. 1. 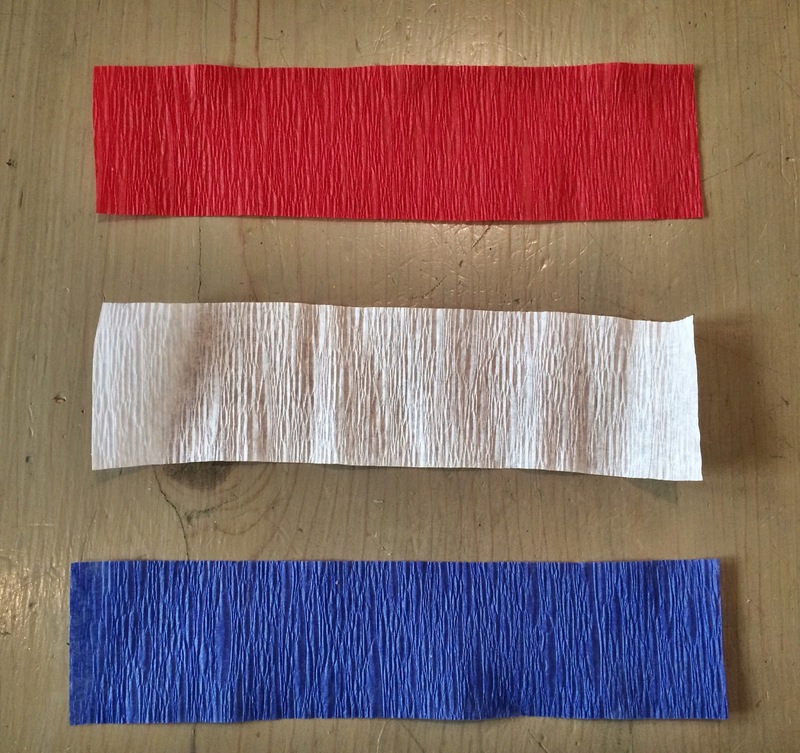 Cut equal strips of red, white and blue crepe paper. I cut mine around 7in. 2. 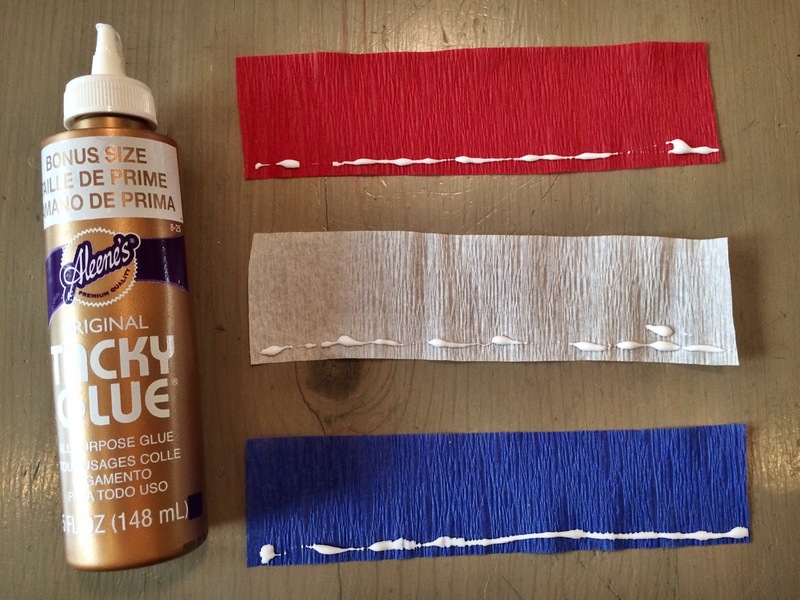 Run a line of glue along each crepe paper strip. 3. Layer them one on top of the other. 4. Fringe down to just before the glue line. 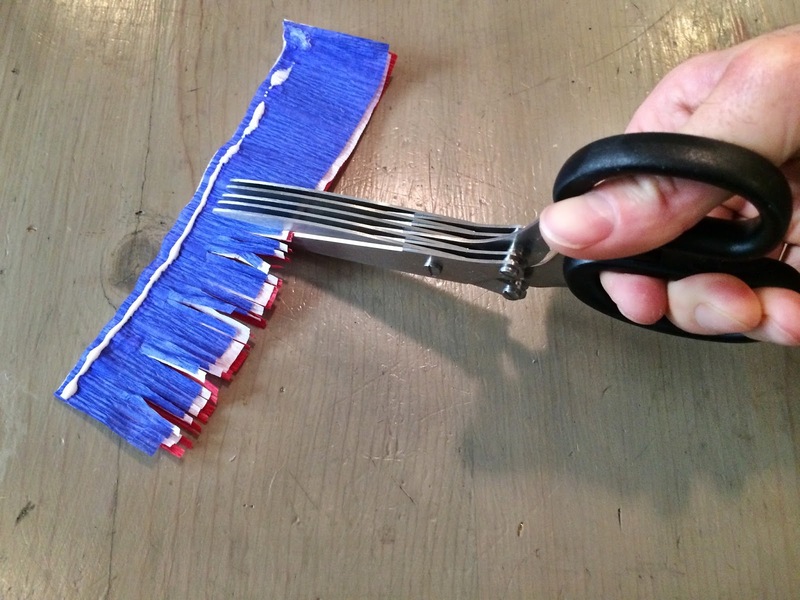 Fringing scissors come in super handy for this. 5. 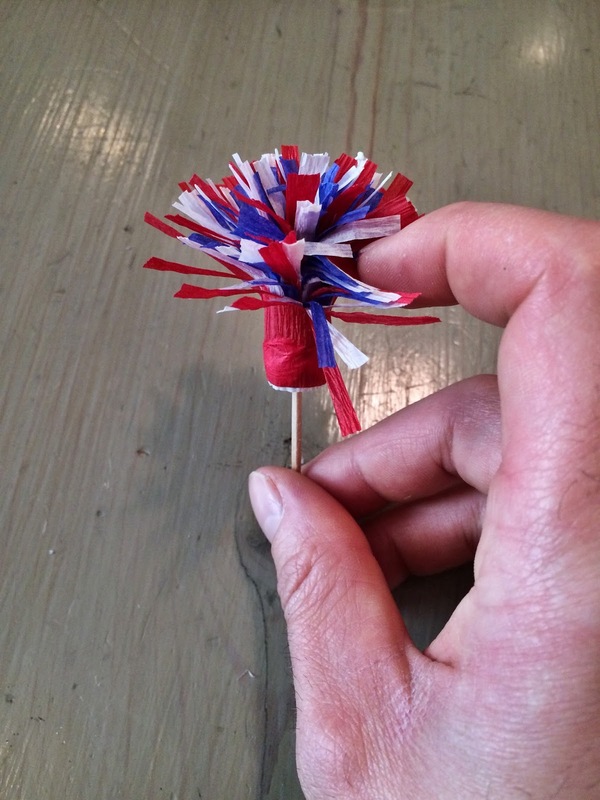 Place a toothpick or skewer at one glued end and tightly roll. 6. 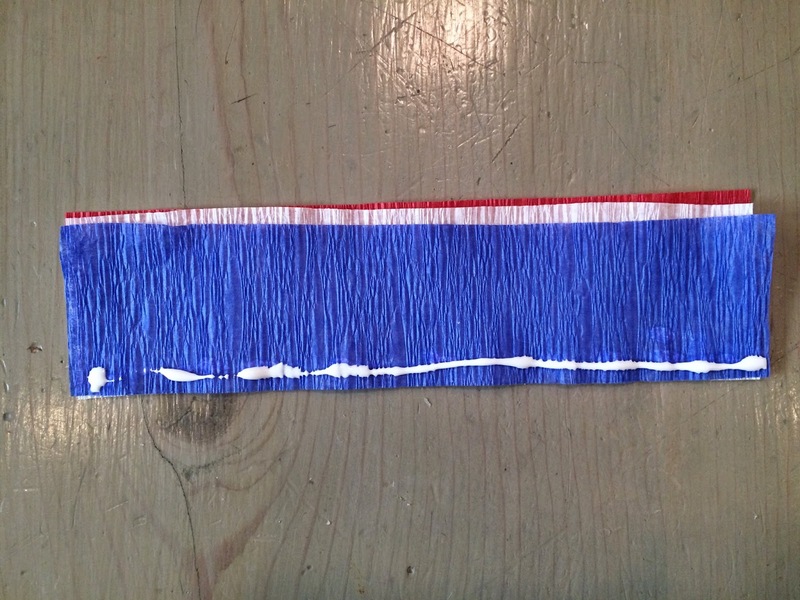 Seperate the fringed part with your fingers. You’re done! Get creative! 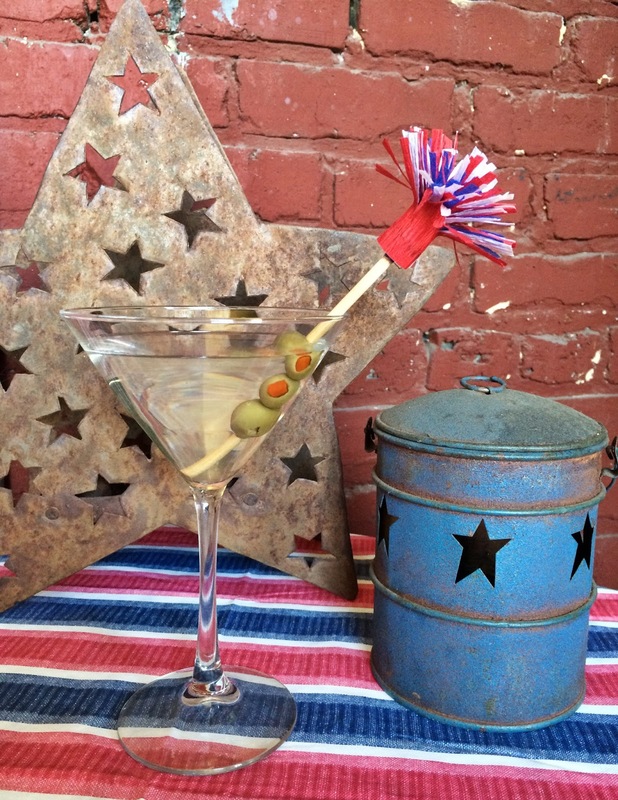 These can be customized for every occasion using any color combination. BANG! 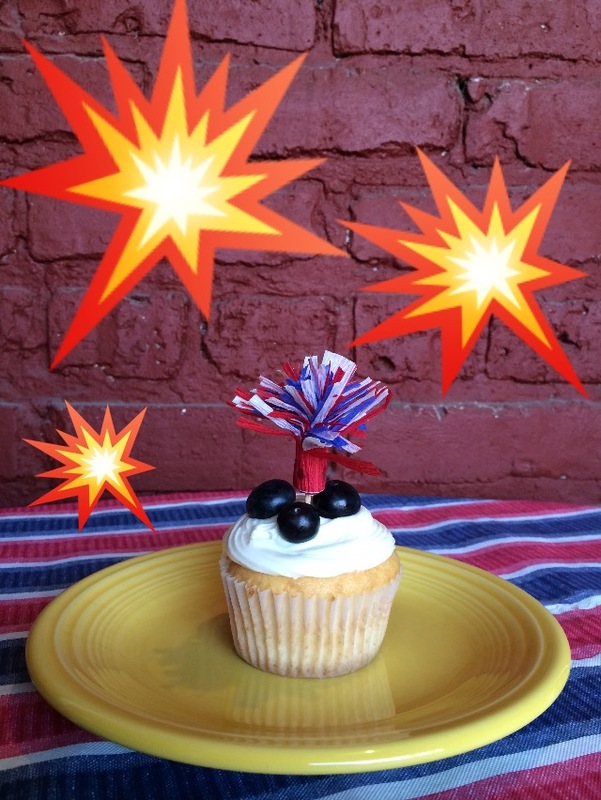 Let the fireworks begin!